I used to be a member of several groups on Facebook with topics centered around minimalism. There was one devoted solely to mothers attempting to live a minimalist lifestyle, one for families, one for homeschoolers...basically, if there's something you're interested in, there's a group for that on Facebook. Regardless of what type of group it is, there is always a question that surfaces: "Is this ok? Is this _minimalist/artistic/healthy/whatever_ enough? Am I doing this right?" And if translated correctly, what they're really asking is, "Am I enough?" And that's where that fluid definition comes in...all of these are legitimate ways to define minimalism for them. It certainly doesn't have to be how you define minimalism for yourself. When I first stumbled onto the idea of minimalism, I realized how freeing it could be to own fewer items. I realized how much of my time was spent simply maintaining my stuff. 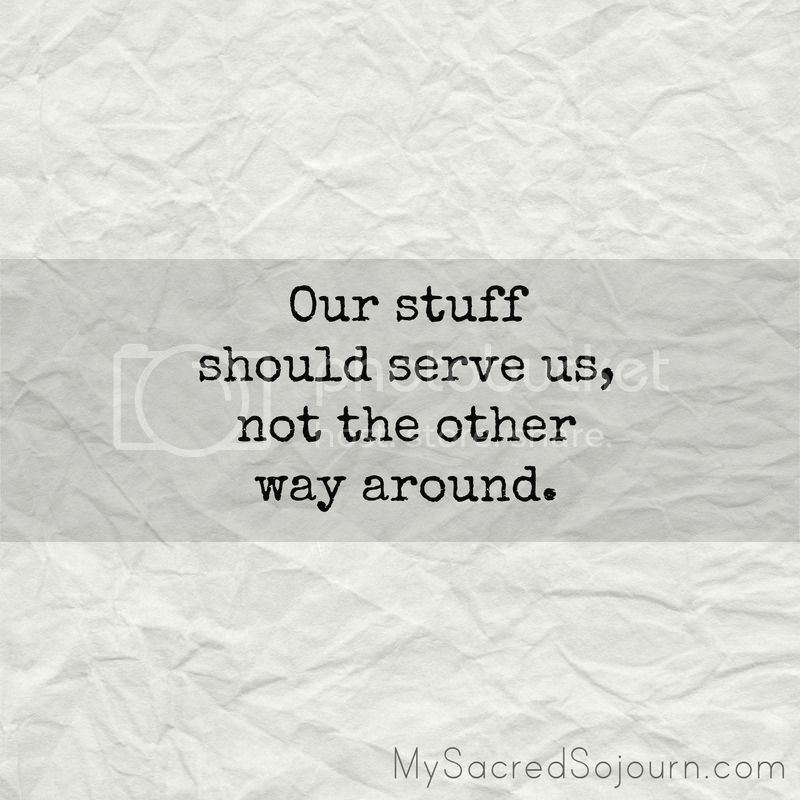 I remember hearing the phrase, "Our stuff should serve us, not the other way around." And I was hooked. So, what's important to you? Start there and that will help guide what your process looks like. One of my core values was that I want to spend quality time with my family. So I began looking critically at what I was doing that was making that harder to achieve. Since laundry was a huge issue for me, I immediately donated tons of clothing. I do less laundry, we spend less money on clothing, and getting dressed is a lot easier because I'm developing a wardrobe of only things I enjoy wearing. You have to know why you're doing something or you won't stick with it. Defining your core values helps you live purposefully, not being pulled here and there by every wind of consumerism, but intentionally creating the life you want to live. 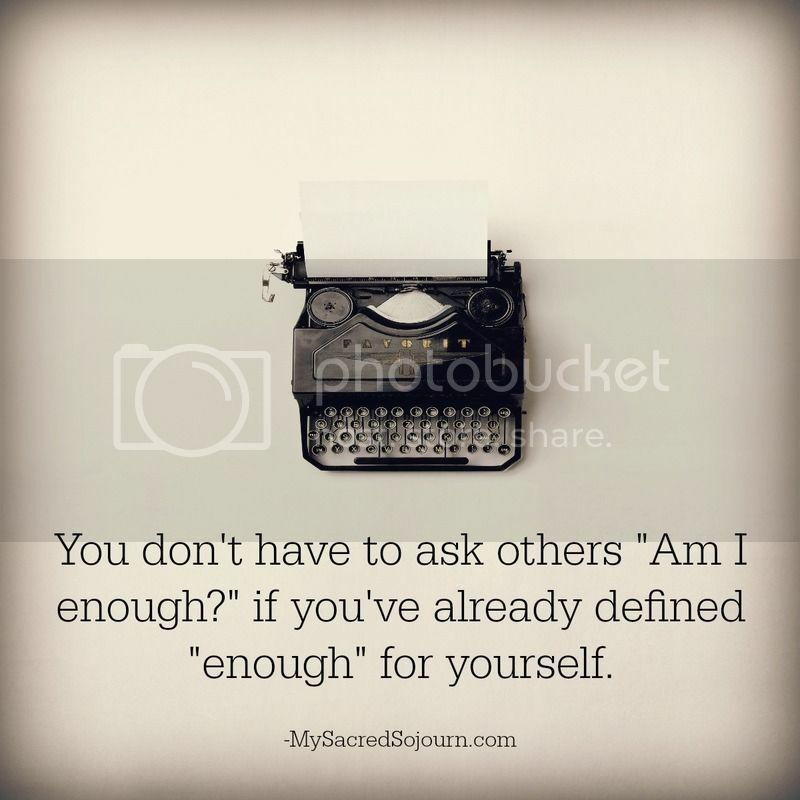 You don't have to ask others "Am I enough?" if you've already defined "enough" for yourself. You can easily look to your core values and determine if you're living in alignment with those. No one else can tell you if you're living the life you were made to live. That knowing comes from deep inside, and one of the best ways I've learned to hear that voice is to quiet the noise from the stuff I own, create literal and figurative space in my life, and listen. Minimalism hasn't been a cage, but instead the key to the lock on the cage of consumerism.